'Big Brother 16's Donny Keeps Making Everyone Paranoid But Why are They So Nervous? It's official. Devin's infamous paranoia might be spreading to the rest of the house. The first time we got to see Devin go completely off the rails was when he became convinced that they needed to evict Donny from the Big Brother house because he was a liar who was secretly ex-military. Ignoring the bewildered stares from the rest of the Bomb Squad, Devin kept pleading his case until Donny later convinced him unknowingly that he was exactly who he said he was. Now, apparently, Nicole and Christine are whispering that Donny might secretly be a professor ("He knows how to play chess!" said Nicole, because apparently groundskeepers can't afford chess boards) and I have to wonder what it is about Donny Thompson that makes other people so paranoid. To the audience, Donny hasn't done or said anything that would imply that he's anything more than he presents himself to be. Everything else about him seems to be based entirely on the assumptions of his housemates, who seem to believe that because he's quiet and kind then he must also be slow. As Donny himself said before he entered the house, "I will probably be smarter than they think I am, but I’m not as smart as I think I am." That seems to be the entire source of the conflict between Donny and the house guests who suspect that he's a liar. They're assuming that Donny doesn't have a "beastmode" the way Caleb and Devin do, they're assuming that Donny isn't as smart and strategic as Frankie and Derrick, and they're assuming that "nice" and "has a beard" are the two most outstanding parts of Donny's personality. Apparently, that conflicts with him doing things like winning the Power of Veto in a longest word spelling competition and playing chess. Even Frankie Grande, who keeps a finger in every pot in the house, dismissed Donny when he, Frankie, and Derrick were revealed to be the three members of Team America. "We got the brains [Derrick], the beard [Donny], and the beauty [Frankie]," he said in his diary. 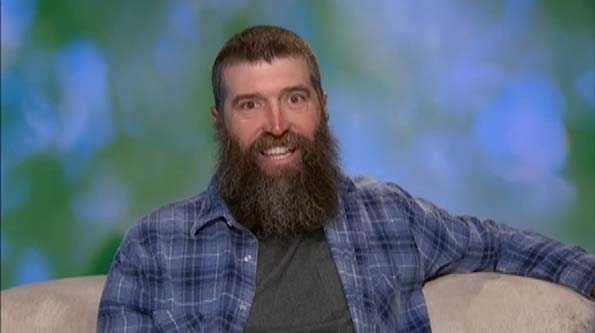 But while the house guests are assuming that Donny is nothing more than a beard with legs attached, Donny is quietly proving that he's a force to be reckoned with in the household. He knows when to smile and hold his tongue, he knows when to let people underestimate him, and he knows who not to trust — like Frankie, like Devin. Right now, Donny is more or less a floater, waiting for the more visible giants in the game to implode and take each other out, but I have no doubt that when they do then he is going to step up his game. Contrary to popular belief, kindness and stupidity don't actually go hand in hand and Donny is far from stupid. He might not be a professor or an ex-military agent, but he's definitely more than just a groundskeeper. The other guests in the Big Brother house had better watch their backs.